We sat down with Tom Anderson, Senior Investment Executive at Helical plc. to talk about how employees are making their voices heard, and what all of this means for the wider market. When it comes to winning the war for talent, Tom Anderson, Senior Investment Executive at Helical plc, shows us how this type of approach can give businesses that all important edge. With a current portfolio that boasts developments such as The Bower at Old Street, One Bartholomew Close in West Smithfield, along with flagship developments dotted around Manchester’s Northern Quarter (to name just a few), these are busy times for property investment and development specialists, Helical plc. For some landlords, it’s still the norm to go from year-to-year without any meaningful contact with their tenants. Helical takes a different approach. For Tom and his team, “active management” isn’t just about the asset – but about the people who are using it day to day. Regular conversations with the occupiers, a refreshing level of flexibility on lease terms, granting tenants leeway to put their own stamp on the space: these are all in the Helical mix. 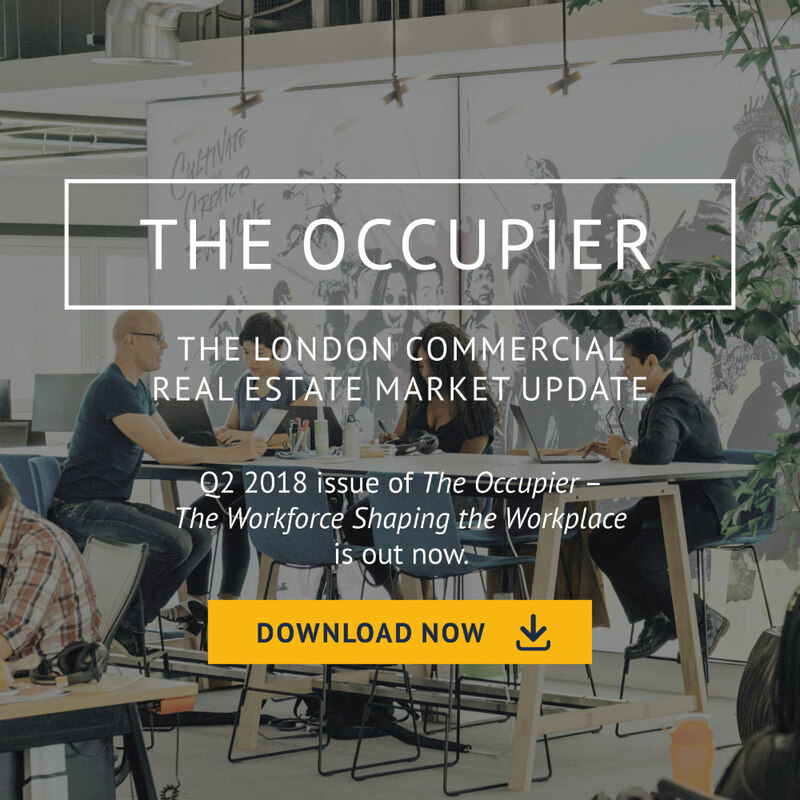 And as well as helping it to put together bestin-class product offerings, this approach also gives the company plenty of insight into what occupiers are looking for – and what’s driving the market. “Organisations are fighting a war for talent. Businesses want to attract the best, and realise that the working environment they offer is a major influencer”. At the time we spoke to Tom, another round of employment stats had been released by ONS, showing a UK jobless rate of 4.2%*; the lowest since 1975. And with an estimated 80% of organisations struggling to fill key roles, businesses are realising that to attract the right people, a strong employer brand is a must. For Tom, this has a direct impact on the commercial lettings market – and no longer can CEOs afford to say: “I live half an hour down the road and therefore we’re going to be based here”. What type of environment will inspire new recruits to come on board? What type of message does this workspace and its broader location give out to anyone checking out our credentials as a possible career destination? As they consider their options for occupancy, these are the type of questions organisations need to be asking. To create the type of environment that people want to be part of, Helical takes a design-led approach. On a granular level, there’s plenty of attention to detail (Tom cites “bike stores, showers, lockers and cafés” as par for the course). Character counts for a lot, too, as can be seen in many of the company’s properties which draw on the areas industrial heritage and where “there’s a nod to the past, authenticity and all the signs of a building comfortable in its surroundings”. The Loom in Whitechapel is a telling example, where, as Tom points out, original expose brickwork and iron columns explore and reveal the building’s heritage. It certainly makes an impact on an emotional level. But at the same time, from high speed connectivity to state-of-the-art lighting and air con, Helical makes sure that tenants are still getting all the benefits of a high-spec efficient workspace. An occupier might be moving from startup to growth stage and is looking for smarter ways to accommodate its new arrivals. More established firms might be keen to introduce agile working for the first time. One company might want a 75/25 split between collaborative and private workspace – whilst the firm on the floor above may desire the exact opposite. Traditionally, lease discussions usually triggered a pow-wow behind closed doors between agent, landlord and the tenant’s facilities manager or office manager. As for the people behind the desks; they’d be expected to stay put or get set for relocation, depending on the outcome. Tom comments on how this is changing: “The HR director, departmental heads, people from across the company … we’re frequently interacting with far more people”. It’s something that’s especially noticeable when prospective tenants tour a site: “It’s about making sure the decision is made in the interests of everyone who works there”. Turning to the terms of that lease, Helical describes its typical arrangement as “sitting between the short-let co-working model and the ‘institutional’ long lease agreement”. As an example, Tom cites the “studio lease” arrangement the company has been using in The Shepherds Building: three-year leases with rolling breaks after 12 months. For Tom, “Lease and leave is dead”. Instead there’s an ongoing dialogue between landlord and occupier. Occupiers know their own businesses – so for Helical, it follows that they ought to be able to put forward their own workable terms when it comes to length of tenure and breaks. And a hospitality led approach means being in close contact with those tenants to ensure the space is continuing to meet their needs. Rewind to the end of 2016. Market uncertainty ruled. Construction volumes were at a high, availability was climbing – and everything was pointing to a marked drop in rents. For Tom, part of the answer can be found by looking at what’s happening within businesses: “The priority is employees – and the biggest issue is recruiting the best”. “Settling” for an uninspiring, unremarkable arrangement – one that does little for your employer brand proposition – is a false economy. He illustrates this with The Tower at The Bower which is due to complete this summer. A third of this is already accounted for in pre-lets – and the remainder is picking up plenty of interest. When it comes to new projects, developers are holding back on pushing the button. The result? “For businesses looking for best-in-class, highly-appealing office space in large volume, there’s an intense supply pressure”. Tom likens lease decision making to a game of musical chairs. “The needs of employees and the desire to attract and retain talent is a top priority.” When a site is taken off the market, other businesses on the lookout for prime space realise that there’s one less option available – and the need to find a “seat” they’re comfortable with becomes that little bit more urgent. There’s a message here for all businesses who’ve outgrown their current space or who are considering their leasing option. Think carefully about the type of message you want to send to would-be new recruits, and leave plenty of time for your search to avoid being left standing when the music stops.